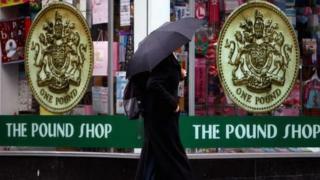 Scottish independence: How might a currency change affect the rest of the UK? Holyrood and Westminster are sharply at odds when it comes to whether an independent Scotland could keep using the pound sterling. If the monetary union between Scotland and the rest of the UK ended, what impact would it have on the rest of the UK? The pound has been at the heart of the battle for Scottish votes in the independence referendum, with the Scottish government consistently stressing that if Scotland votes for independence on 18 September, a currency union would be in the "best interest" of both Scotland and the rest of the UK - something the UK government has strenuously rejected. The little coin also played a starring role in both televised debates between First Minister Alex Salmond and head of the Better Together campaign Alistair Darling. Mr Darling repeatedly criticised Mr Salmond for having no "plan B", but the first minister subsequently declared he had not one plan B, but three, and that he sought a "mandate" from the Scottish people to lobby for a currency union. If Scotland votes Yes to independence but Westminster blocks a currency union, there are three main options on the table. One is that it could join the euro, but the Scottish government has ruled this out. A more likely scenario is that Scotland embark on "sterlingisation" - it uses the pound without a formal agreement and the backing of the Bank of England. Alternatively, Scotland could create a new currency - an idea favoured by some members of the Yes campaign . The currency choices Scotland could go for have been analysed by correspondents such as BBC Scotland's Glenn Campbell and BBC Newsnight's Laura Kuenssberg. But how would Scotland changing its currency - either through sterlingisation or a new currency - affect the rest of the UK? The Scottish government has previously said an independent Scotland would be entitled to refuse to take on a share of the national debt if the rest of the UK refused to formally share assets such as sterling. But the amount of debt which is classed as Scotland's is debatable. The Scottish government has calculated that on the basis of "historic" tax revenues, Scotland could account for £100bn of the UK's total debt of £1.4 trillion. Sums by the National Institute of Economic and Social Research - based on what's known as the Maastricht measure - produced a higher figure of £143bn. The threat of Scotland not fulfilling that share is "a big bargaining chip for Alex Salmond", according to Garrick Hileman, an economic historian at the London School of Economics. He reasons that if the UK were left with a higher proportion of debt to a smaller GDP it "could increase the interest rate on Exchequer borrowings, which in turn could lead to higher taxes and lower spending". However, this could be offset by lower net transfers from the Exchequer to Scotland, he says. The risk of rate rises is reduced by the UK's relatively strong track record on servicing public debt. There is also the possibility that the rest of the UK would write off Scotland's debt. That happened with Libya in 2008, but Hileman points out it was considered an "odious debt" and "it is very unlikely Scotland's debt would be seen in those terms - but it does show a precedent for how a state's debt can be set aside". Brazil forgave almost $900m of debt owed by African countries in 2013, and Russia wrote off $10bn of North Korean debt in 2012. Hileman says it's "very rare" that such moves come with no strings attached. If the rest of the UK were to take on Scotland's debt it's likely it would seek something significant in return such as a share of future North Sea oil revenues. Uncertainty over legal jurisdiction in such disputes is "another thing the Scottish government could play to its advantage", he adds. Prof Philip Booth of Cass Business School and right-leaning think tank the Institute of Economic Affairs believes that if Scotland moved to a different currency, it would not have a big knock-on effect on sterling. "Scotland is not an especially large proportion of the UK economy and there is no obvious reason why the fundamental factors (for example, changes in oil prices or monetary policy) that determine a currency's value would be different if Scotland doesn't use the pound," he says. He thinks there could be potential for a rise in market confidence in sterling, but this turns on his belief that without Scotland, the rest of the UK would tend to elect more right-wing governments which he claims would pursue "more beneficial" policies of lower taxation and lower spending. However, any such rise would occur at the time of a "Yes" vote rather than at the point when Scottish currency changes, in his view. But Kathleen Brooks, European research director for Forex, sees potential for the pound to go down against the euro and the dollar "because currency markets hate uncertainty". "We don't know what currency Scotland would have, which could impact its ability to pay back its share of UK debt and potentially leaves the rest of the UK on the hook for Scottish debts," she explains. Among the factors that influence value, Brooks highlights political stability. "If Scotland votes 'Yes' to independence then political stability won't be a given for the rest of the UK anymore, and could cause the currency to weaken." Such a shift might bode ill for some people - but would be good for exporters, who benefit from being able to sell their products at a more competitive price, she says. The prospect that Scotland's use of the pound could change or end altogether does not seem, at present, to be putting investors off the UK in general or Scotland in particular. Carla Mozee, a reporter for Dow Jones' MarketWatch, says one reason is that overseas investors "are not really following the course of the referendum that closely - partly due to the polls consistently showing a lead for 'no'. There might be more nervousness amongst them if the polls were tighter". Another factor may be that investors are in no hurry to make their decisions. They're aware that even if Westminster did veto Scotland using the pound, it wouldn't come about overnight. The vote takes place on 18 September and the Scottish government believes negotiations could be completed and full independence achieved by 24 March 2016. Westminster has not set out a timeframe. Mozee points out that alternative currency arrangements "wouldn't be finalised for at least two years - similar to the time it took for EU nations to move from their own currencies to the euro." Toby Nangle, head of multi-asset allocation at Threadneedle Investment says that a new or altered currency "would be unlikely to put international investors off financing good projects with solid fundamentals" both in Scotland and the rest of the UK, although investors would be "likely to want to wait until political, monetary, financial and economic uncertainties had lifted before committing funds". The Federation of Small Businesses - which has a neutral stance on independence - collaborated with the Edinburgh University Business School to produce a report which addresses questions about a range of currency plans. The report does not specify ramifications of sterlingisation for investment in the rest of the UK, but says a possible new currency would "increase the exchange rate risk as well as the risk of capital flight, as investors may move assets out of the newly independent Scotland to a country with a more stable and certain currency, such as the rest of the UK". The question of how a change in Scotland's currency would affect business and commerce is a thorny one, with most businesses and member organisations keen to remain impartial on the issue. Those who have ventured a view on the issue have faced strong criticism - as in the case of insurance company Standard Life when it said it was considering transferring some of its operations outside Scotland. The same report by the Federation of Small Businesses and Edinburgh University Business School predicts changes to Scotland's currency could "increase transaction costs for companies who are trading, investing, moving, and spending across the border". Michael Weedon, deputy chief executive of the British Independent Retailers' Association - also neutral on the issue - says that he could foresee a different currency affecting business-to-business transactions between shops and manufacturers or wholesalers. "Normal currency exchange markets generate charges so under those circumstances there could be added costs to businesses - but there are many ifs to resolve," he says. Toby Nangle also raises the possibility that domestic companies doing business in Scotland with significant amounts of sterling debt "may find their assets and liabilities no longer matched" because of having sterling liabilities but Scottish currency revenues, which he says "has caused all sorts of problems in emerging markets where this sort of mismatch is most common". When Mr Darling and Mr Salmond went head-to-head in their first TV debate, one audience member challenged the Better Together leader, claiming that the rest of the UK was already a foreign country. "Have you ever tried to pay a London taxi driver with a Scottish £20 note?" she wanted to know. As of 2013, there were just under 298 million Scottish notes - produced by Scottish banks, RBS, HBOS and Clydesdale - in circulation around the UK. Presumably if the two nations did not share a currency, the Scottish note really would become foreign tender. Some people wouldn't mourn their passing. It would be "slightly more convenient with no more Scottish notes", says Steve McNamara of the Licensed Taxi Drivers Association, who says although they are rare, "drivers are not especially keen on them as you can't always get people to accept them when you pass them on". But others say Scottish notes have a greater significance. Scottish banks and economists were integral to the development of some modern banking practices such as overdrafts, and the Scottish note can be seen as an enduring symbol of its financial strengths. A move to stop Scottish banks issuing notes altogether in 1820 did not go ahead, in part due to "strong resistance because of the note's status as a part of Scottish national identity and autonomy", Prof Ewen Cameron of Edinburgh University points out. He argues one reason the union of England and Scotland has survived for so long is because of "areas where Scotland retained a distinctive and visible influence" - of which he sees the note itself as a good example. Go to the BBC's Scotland Decides page for analysis, background and explainers on the independence debate.